For this year’s City Weekly Music Awards, we decided it was time to go big or go home—and no one should want to go home when there’s this much awesome music happening. 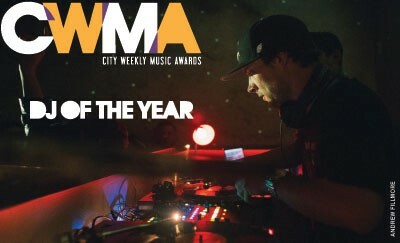 So, in addition to crowning a Band of the Year, we also named a DJ of the Year and a Rap Group of the Year. The winners were decided by a complex tallying of in-person votes at each showcase and scores given by our 15 talented judges. Besides three-word names, Westward the Tide, Better Taste Bureau and DJ Matty Mo shared a few things that lifted them to the next level for the crowds and judges: the ability to command a stage, creativity, professionalism and—oh yeah—raw musical talent. But it’s safe to say that no one walked out of any of the showcases feeling certain about who’d won. And that’s a good thing—the CWMAs aren’t so much about declaring a winner as they are about supporting and celebrating our local musicians. 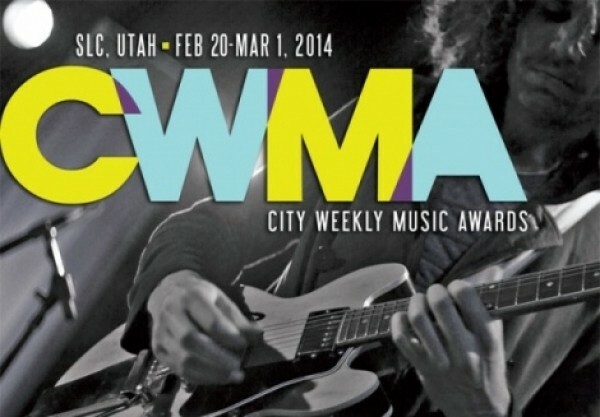 Even if your band or your friend’s band didn’t score a nomination, or if you’ve never heard of any of the acts (no judgment), we want you to come out to the CWMAs. 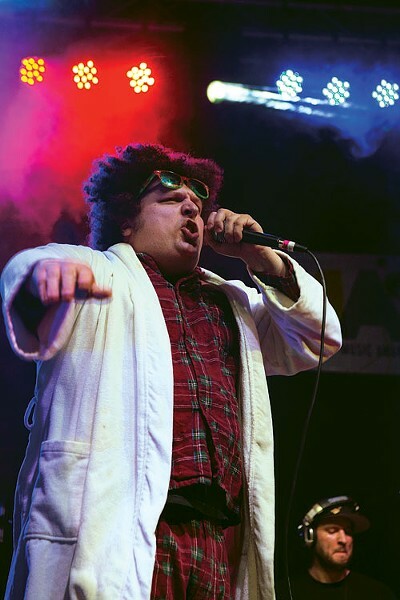 They’re a genre-spanning introduction to our amazing music scene, a heady mix of blistering guitar riffs, jangly tambourines, thought-provoking rhymes and earth-shaking beats. That ever-growing diversity is why we’ve expanded the CWMAs beyond bands in recent years, and why we’re especially thrilled with this year’s addition to the winning artists’ prizes: an opening gig at the Twilight Concert Series, where thousands of music lovers will get a taste of the talent that calls Utah home. 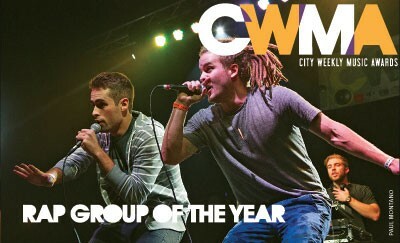 Read about the winners (and City Weekly-picked honorable mentions) in the following pages, then head to CityWeekly.net/CWMA for a complete rundown of the two-week musical extravaganza. And mark your calendars for February 2015—our music awards are still growing and getting better, and you need to be there for it. Westward the Tide’s energy makes them an unstoppable force. 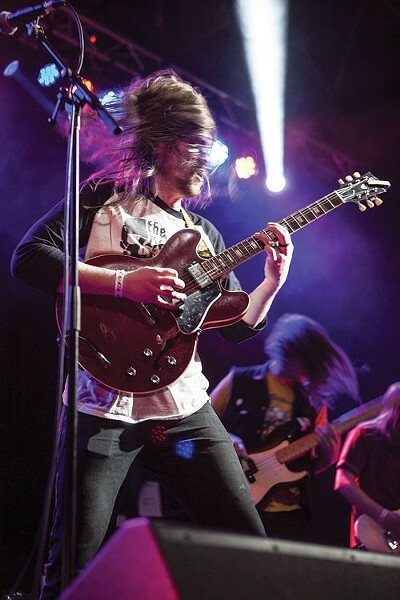 Instead of bothering with any preamble when they took the stage at the first of two City Weekly Music Awards band showcases at The Complex, opening band Westward the Tide began their performance with a bang—literally. Cam Brannelly strode onstage and started hitting his drums so hard that everyone’s eyes and ears were hooked as effectively as if a cannon had been fired. Then, violist Jordan Towner joined in by banging on a large floor tom as the rest of the band came out, picked up their instruments and launched into a set that was full of sincere enthusiasm, kinetic energy and sparklingly beautiful moments of flawless vocal harmonies. The Provo band’s spectacular stage presence, undeniable chemistry and the infectious joy with which they play their music made a stunningly strong impression in the showcase, and the judges and the large crowd that came out for the show agreed that they were more than worthy of the Band of the Year title. 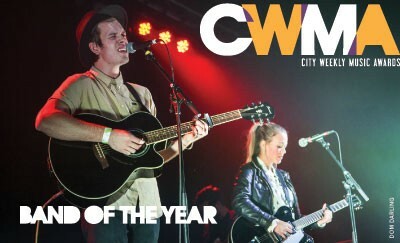 Winning the band portion of the CWMAs is an especially huge milestone for Westward the Tide, considering the fact that the six musicians have been creating music together for barely more than a year. But just as Westward the Tide suddenly announced their arrival on the stage that night, they appeared in the local music scene and immediately struck out in one direction: up. Westward the Tide was founded by Larsen and Kaitie Forbes—who played music together in high school—as well as Larsen’s husband, Jackson (co-lead vocalist/guitarist and main songwriter). The rest of the lineup—Towner, Brannelly and bassist Cole Herrmann—came together almost effortlessly. “It was meant to happen,” Forbes says. “I think we were all in places in our lives where we just needed something more.” In November 2012, Westward the Tide—their namesake is a novel by influential Western author Louis L’Amour—officially became a band. Building off that initial momentum, Westward the Tide released a five-track EP, titled Everything Is—recorded at June Audio in Provo—in April 2013. Just a few months after that, the band began working on their first full-length record, Sorry Soul, which will be released locally at a show at Velour on March 15. For help creating what they consider to be their true debut, Westward the Tide worked for the first time with a producer, well-known local singer-songwriter and producer Joshua James. Sorry Soul was recorded over two weeks at James’ homestead in American Fork, nicknamed Willamette Mountain. Compared to their recording of Everything Is—which was put together relatively quickly, in response to fans clamoring for recorded music—Westward the Tide was able to take their time on Sorry Soul. “It was really cool to just be with Joshua and just tinker and really play with the sounds,” Jackson says. Now, Westward the Tide are ready to strike out into their unknown future as a band with the same amount of energy that ignited the stage of the CWMA showcase. Sorry Soul is more than Westward the Tide’s debut album: It’s a declaration. Saturday, March 15, 8:30 p.m. Better Taste Bureau work like underdogs to get to the top. There are a lot of factors that play into a quality live hip-hop performance, but, without a doubt, the ability to get the crowd hyped is one of the most important variables of any show. And Better Taste Bureau’s Shaun Bussard, Ben Harris and Mason Brewer have found a way to perfect it. Like a football coach prepping for a game, BTB film the majority of their gigs, combing over the footage and picking out what works and what doesn’t. And the approach paid off. BTB was one of the few groups that really went out of their way to engage the crowd with a healthy dose of call & response tracks: “When I say ‘too many,’ you say ‘hipsters,’” for example. On a related note, “Too Many” is a track I hope they play when they perform at this summer’s Twilight Concert Series. “Honestly, hipsters love making fun of other hipsters, so I think it’ll go over pretty well,” Brewer says with a laugh. It’s this sort of honesty and humor that makes BTB so ridiculously accessible and fun to listen to. Their sound is squeaky clean, well-produced and extremely calculated—every lyric is deliberate and precise, and just about every beat seems to have been washed and rinsed by Brewer’s mad-scientist fingers. However, just existing as a quality high-energy act only goes so far; you still have to get people out to your shows. In their relatively short existence, BTB have nonchalantly thrown some of the best and biggest local hip-hop shows. In April 2013, the release party for their album As Good As It Was packed more than 200 people into The Shred Shed and sold out a week in advance. 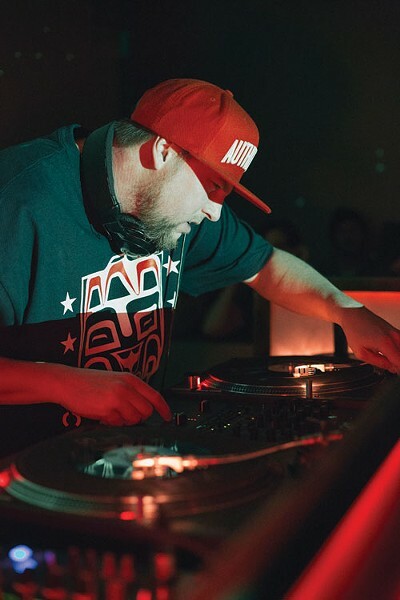 But even though they have a substantial and dedicated fanbase, BTB are motivated by the self-diagnosed status as Salt Lake City hip-hop underdogs. “We’ve been underestimated for so long that it’s actually helped us and motivated us to be better,” Harris says. Being driven to surpass their contemporaries is something BTB has thrived on, but remarkably, they’ve done it with little to no trash talk—a rarity in hip-hop. In other words, they put in workÂ­—a lot of it. And over the past 12 months, they’ve had a meteoric ascent. They were crowned as U92’s Home Grown Champions in summer 2013 and performed in front of roughly 5,000 people at Summer Jam. In November, they dropped an insanely creative Groundhog Day-inspired rap video for the song “Looking Back,” featuring Luna Lune. And now, Better Taste Bureau is City Weekly’s Rapper (er, rap group?) of the Year. As a thank-you, the new kings of Salt Lake City leaked “Outliers,” a single off their new album of the same name, due out in April. The track can be heard at BetterTasteBureau.com, and they’ll be making a triumphant return to The Complex on May 3 for the Outliers release party.